These pages are created to record the maintenance, mods, accessories and tools used over the course of owning my 2010, BMW R1200GS Adventure. Her name is Emma. Since Aug 2010, Emma has faithfully brought me to several countries around Southeast Asia and has clocked over 171,000km to date. 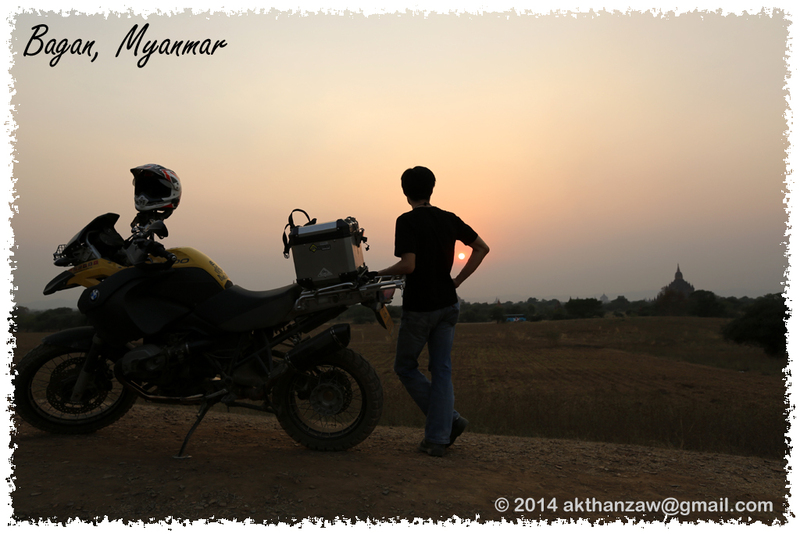 The most recent road trip was to Myanmar in Apr of 2014 for 3 weeks. With the help of BMW repair data and GS911 by Hexcode, all maintenance and repairs are done by me except for some challenging few like final drive bearings and seals replacement work. Maintaining and keeping her purring so we can look forward to more destinations together. Please, for your sake and mine, these post and its contents are my own opinion and views, it is for your reading pleasure and it is NOT authoritative from BMW Motorrad and it’s authorized channels. Though every effort is made to ensure accuracy and completeness, readers are strongly advised to seek further clarification from the respective organization. All warranties, liabilities, injuries, sanity and many known sufferings resulting from reading or following these pages are your own. Peace and have a safe ride.